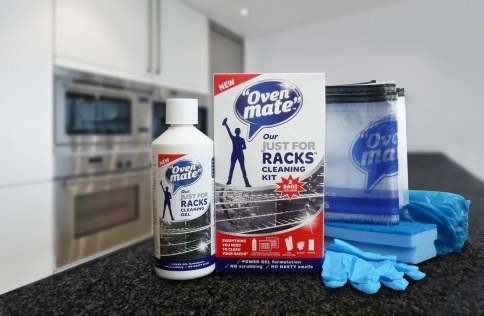 OVEN MATE Just for Racks Cleaning Kit. 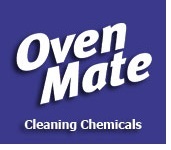 As part of the Oven Mate Starter Kit, you’ve loved this special formulation that cuts through grease and grime to give you effortlessly shiny oven shelves with no scrubbing and no nasty whiffs. So here’s a larger bottle especially for you, with a slightly stronger, coloured formula to ensure that absolutely no burnt-on grime will be able to resist its power. Just pop your rack in the bag to restore to its shining best. Kit includes protective gloves, sleeve protectors, sponge scourer and 2 treatment bags. All you need to do the job!